The Three Degrees are an American female vocal group, formed in 1963 in Philadelphia, Pennsylvania. The group has always been a trio, although there have been a number of personnel changes and a total of fifteen women have represented the group so far. The original members were Fayette Pinkney, Shirley Porter and Linda Turner. 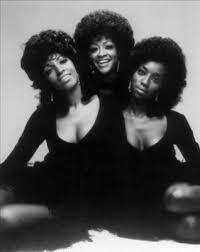 The most successful line-up was Fayette with Sheila Ferguson and Valerie Holiday, these three being responsible for recording the 1974 single "When Will I See You Again", which was a huge international hit, peaking at 2 in the US and topping the UK Singles Chart. The Three Degrees were formed around 1963 in Philadelphia. They were discovered by producer and songwriter Richard Barrett. Barrett was responsible for groups of the 1950s such as The Chantels, Little Anthony and the Imperials, and The Valentines. Barrett recorded the original line-up on their first song, entitled "Gee Baby (I'm Sorry)", for Swan Records, in 1965. Turner and Porter both left the group, leaving Fayette Pinkney the only original member. Turner and Porter were replaced by Helen Scott and a variety of other ladies before Janet Harmon joined in the mid-1960s. Barrett also began managing and producing Sheila Ferguson, who was a high school friend of Scott. Barrett also signed Ferguson to Swan Records in 1965. The Three Degrees released a number of singles, including "I'm Gonna Need You" and a cover version of "Maybe" in 1966. By 1966, with many performances lined up, Scott decided to leave the group to start a family. Ferguson filled in for Scott and would remain in the group for 20 years. Ferguson sang backup on all the group's Swan recordings as did the Three Degrees for her solo singles. By 1967, Harmon left and was eventually replaced by Valerie Holiday. Barrett signed them to recording contracts over the next three years with Warner Bros., Metromedia, and Neptune record labels; the latter of which was owned by Kenny Gamble and Leon Huff who would work with group five years later. Their close harmony singing made them a popular nightclub act but a hit record still eluded them. By 1970 they were signed to Roulette Records and they released their first album, Maybe. The title song, this time with Valerie Holiday taking the lead vocals, took them to 4 on the US R&B charts. The singles "I Do Take You" and "You're The Fool" followed, as did their second album, So Much Love. This success landed them a cameo appearance in the 1971 film, The French Connection, filmed during one of their appearances at the Copacabana nightclub in New York, and also an engagement at the Riviera Hotel in Las Vegas, Nevada with Engelbert Humperdinck. In 1973, when their contract with Roulette had ended, Barrett signed them to Philadelphia International Records under Kenny Gamble and Leon Huff, where they were to have their greatest successes. The first song they recorded there was with the studio band MFSB, entitled "TSOP (The Sound of Philadelphia)" which was the theme song for Soul Train. In October 1973, the group also made an appearance on the American television sitcom Sanford and Son (season 3, episode 4), singing their song "I Didn't Know". 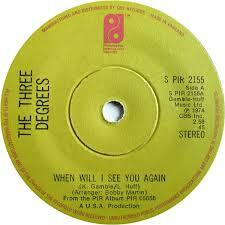 Their first album for the Philadelphia International label, simply titled The Three Degrees, spawned three hits: "Dirty Ol' Man" (which went gold in the Netherlands and Belgium), "Year Of Decision" (which made it to 13 in the UK Singles Chart), but it was the third single, "When Will I See You Again", that propelled the trio into the mainstream. It topped the UK Chart for two weeks in August 1974 (the first time this been done by an all-female group since The Supremes in 1964, and became the fourth best selling single of the year.It also reached 2 in the US, selling over two million copies and earning the trio a gold record in December 1974 (at that time, Platinum certifications has not been assigned to singles). The Three Degrees also recorded two live albums: one from Leicester in the UK, and the other from Tokyo in Japan, and released both in 1975. 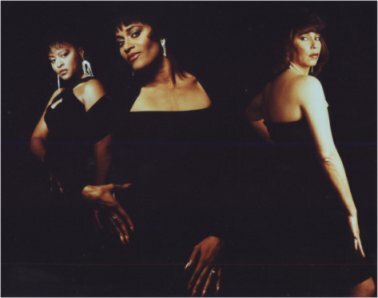 The trio's second studio album for the Philadelphia label, The Three Degrees International, was marketed internationally under different titles and in various languages. In Continental Europe, it was called With Love, and it spawned the hit single "Take Good Care Of Yourself", which reached the UK Top 10. The UK release of the album was actually titled Take Good Care Of Yourself and peaked at 6 in the UK Album Chart, their highest ever chart placing for an album there. Two other songs from the album were big successes in Japan: "Midnight Train" and "Nigai Namida", the latter having been recorded in Japanese. In 1976, the Three Degrees parted company with Gamble and Huff and moved to CBS Sony/Epic Records where they released the concept album, A Toast Of Love, purely for the Far East market, although a single of the title track was released internationally. In 1976, Pinkney decided to leave the group and return to full-time education and was replaced by former band member Helen Scott. In 1977, they released the album, Standing Up For Love, although this would be their last release for CBS/Epic. In 1978, The Three Degrees signed to Ariola Records in Europe and the US and began working with Giorgio Moroder, who had become famous as a disco producer following his work with Donna Summer. Further success was to follow, and they released two disco-styled albums on Ariola (New Dimensions in 1978, and 3D in 1979) which delivered four UK Top 20 hits between them: "Givin' Up Givin' In", "Woman In Love"(originally recorded by Twiggy in 1977), "The Runner" and "My Simple Heart". They also performed at Buckingham Palace for Prince Charles's 30th birthday party in 1978, and later were guests at the pre-wedding party for his marriage to Lady Diana Spencer in 1981. Their own television special, The Three Degrees at The Royal Albert Hall (aka An Evening with The Three Degrees), was recorded in October 1979 in which the trio were backed by the Royal Philharmonic Orchestra. In 1980, the compilation album Gold was released and became a UK Top 10 hit. Featuring one side of their hits on the Ariola label between 1978–79, and one side of live recordings from their 1979 Royal Albert Hall television special, this would be the trio's second "best of" compilation to make the UK Top 10 in less than two years, after CBS released A Collection of their 20 Greatest Hits in early 1979 (which featured their pre-Ariola material, and peaked at 8 in the UK Album Chart). Between 1982 and 1985, The Three Degrees released two albums on their own 3D label; Album of Love and Live in the UK. On that label they also released a single written by Sheila Ferguson, entitled "Liar". A third BBC Television show was also recorded in 1982, titled Take 3 Degrees, which included performances of their greatest hits, and also songs that the group were performing in their latest show, such as "I Can't Turn You Loose" and "Celebration". They returned to the UK charts in 1985 with "The Heaven I Need" which was produced by Stock/Aitken/Waterman on Supreme Records, though the single narrowly missed the UK Top 40. In 1986, Miquel Brown filled in for Scott while the latter was pregnant. That same year Ferguson decided to leave the group. Scott and Holiday replaced her with Vera Brown of The Ritchie Family in 1986, and then Rhea Harris in 1987. In 1989, Scott and Holiday, along with new recruit Victoria Wallace, recorded an album entitled Three Degrees...And Holding on Ichiban Records. A single, "A Tender Lie" was also released. Following the album, the group recorded a live CD at London's Dominion Theatre, with Billy Paul and Harold Melvin & the Bluenotes in the summer of 1989. The group followed this with another tour of the UK and Japan at the end of the year.